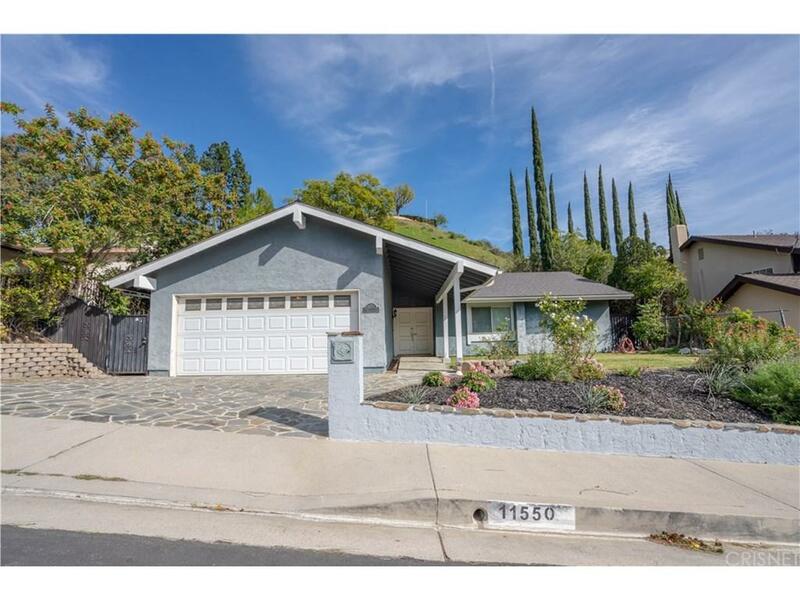 Don?t miss out on fine living in Porter Ranch!! This 3 bedroom Porter Ranch home is nestled in the foothills of the Santa Susana mountains* Enter your home through the formal entry way* The open remodeled kitchen features granite counters, custom cabinetry, tile backsplash, stainless steel appliances, breakfast bar, & a refrigerated wine cooler* The living room has a fireplace, vaulted ceiling, and is wired for surround sound* Family Room* Open the double doors to your master suite with private bath and a walk-in closet* Updated hallway bath boasting a glass mosaic countertop* Travertine flooring throughout * Dual Pane Beveled Windows* Recessed lighting in kitchen & living rooms* Outside entertain your friends and family with this low maintenance hard-scaped backyard including artificial grass* Award winning schools include~ Granada Hills Charter High School & Castlebay Lane Elementary* Easy Fwy access, close to restaurants, shopping, Porter Valley Country club, and hiking trails! !